You’re at the climate change march and the atmosphere’s getting a little fresh. Someone’s shoved a police officer and now the cops are rounding up people in the immediate area. You’ve done nothing wrong, but PC Joe is talking to you. What do you do if PC Joe asks for your name and address? Say nothing? 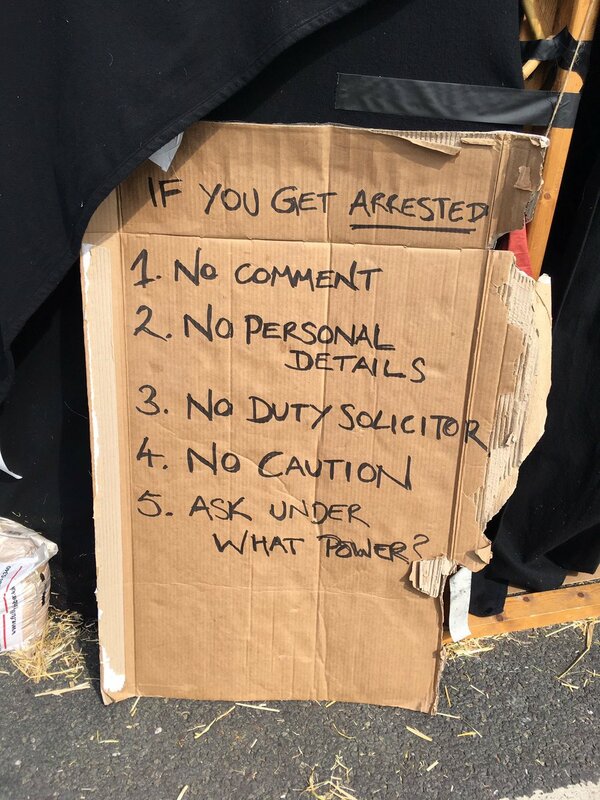 Well, one thing this cardboard legal advice fails to mention is s24 of the Police and Criminal Evidence Act – and that by saying nothing, you may be inviting the officer to arrest you. Not everyone wants to be arrested and taken to the police station – and I don’t see the advantage in refusing to give your name. Here’s the laugh: certain bust cards make it sound like only a select few solicitors firms know anything about Protest Law. This is clearly incorrect because many of these firms are sending broadcast emails out to freelance solicitors and police station representatives to go to the station and advise you. Consider, just for a moment that the bust card is funnelling you to a particular solicitor so they can have your business. A police simple caution, as I have mentioned in a recent post, is not something to be accepted lightly – or as a way to get out of police custody faster. Simple cautions are an admission of guilt and remain on your police record. Get qualified legal advice (which is offered at the police station for free) before signing anything or being interviewed. Sometimes people ask me if they should “go no comment” in their police interviews. The big problem with this question is that they’re trying to figure it out for themselves, rather than asking asking the police station rep who has seen the police evidence. And the reason some ask this question is because they just want to get this over with as quickly as possible – and they don’t understand what a big impact this interview can have on whether you are charged or ultimately are found not guilty at court. There are so many pitfalls when talking to the police at interview. And the even bigger problem is that police station interview slip-ups can and will be used against you in court. You might think that if you don’t say anything, you can’t slip up. But even that has potential to be used against you for failing to say something really important. Other people just start talking and bury themselves, forgetting that it is for the CPS to prove the case against them, rather than you protesting your innocence. How do I know what’s the right move for you? I don’t, not until I see what hand you have been dealt. I say it over and over and over again: when they offer you legal advice, take it. The next step is to listen to that advice. If, for some reason, you and the police station rep don’t work well together, remember that they can be instructed privately. I have a group of trusted police station qualified solicitors I can recommend who know the ropes and can help you navigate your way through this minefield so you can have the best possible foundation to your defence. Most people at the police station want to get the experience over with as soon as possible. They turn down the free legal advice and accept simple police cautions because they’re scared of being charged with a crime. Some people think that a simple caution is just a formal warning that will put whatever’s happened behind them. In their rush to get out of the police station, some don’t truly understand that they’ve just signed an acceptance of guilt that’s going to appear on their (new) criminal record – which could be used against them in any future criminal proceedings and could be revealed in criminal records checks. Imagine how it would feel to find out that you shouldn’t have signed that “simple” caution. Imagine finding out that the police never had the evidence to justify a charge or a prosecution? Imagine discovering that the police got the law wrong – and you went along with it because you didn’t know any better? One of the biggest tips I can give anyone is to get advice before you sign anything. I work with a network of police station solicitors who advise clients on the best thing to do in their circumstances. It may be that signing a simple caution is the best thing to do in your circumstances – but you will never know for sure unless you get advice. I’ve helped clients challenge simple cautions – and it is always easier and more cost effective to get advice BEFORE signing rather than after. 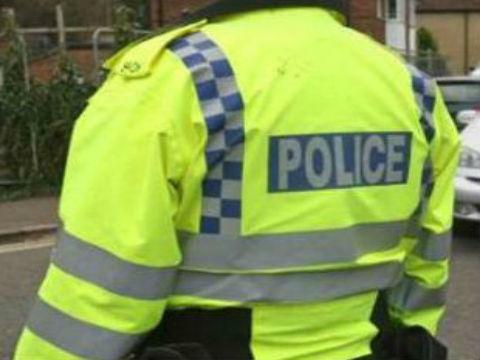 Comments Off on Should I accept a simple police caution? Let’s me start by saying: The following is not legal advice. I have no idea whether any particular person should appeal their PCN or not. The following is offered for information purposes only. I’ve been following the Hackney Gazette’s reporting that 6,596 fines were given to 4,589 drivers for failing to comply with a recently installed No Left Turn sign on Mare Street – and that Hackney Council, as I understand the Gazette’s estimate, have been taking charging circa £100K in fines per week in respect of this particular No Left Turn sign alone. Look at the two photographs the Gazette has posted. One is time-stamped at 12 June 2018. The other is assumed to be more recent (I did not take the photos, so I cannot know when they were taken). Now look at the difference between that 12 June stack of signage and that of the evidently more recent photograph taken by Polly Hancock. For starters, it appears that the No Left Turn sign as at 12 June may be tilted away from the lane (perhaps it is just the camera angle. I could not possibly comment, as you will need to collect and satisfy yourself as to any evidence) – and that the No Left Turn sign is at the top of a stack of three signs. 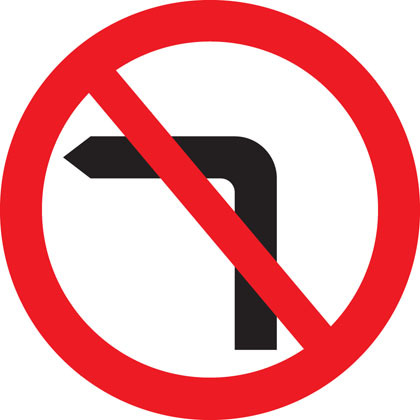 Comparing that with the presumed to be more recent Polly Hancock photograph, the No Left Turn sign appears to have been re-positioned to the middle of the stack – and that strange tilt away from the lane is gone. (At the risk of sounding like Arsene Wenger – maybe it is a photoshop – I don’t know – why don’t you ask somebody who knows?). I’ve had a wee look at the Traffic Signs Manual mostly, because I do have to wonder if the Council may have re-positioned the No Left Turn sign for a reason. it is for traffic authorities to determine what signing is necessary to meet those duties, although failure to follow the Manual’s guidance without good reason might well lead to enforcement difficulties. In particular, adjudicators might consider such failure to be evidence that the signing was unclear. Traffic authorities should always remember that the purpose of regulatory signs is to ensure that drivers clearly understand what restrictions or prohibitions are in force. Then, my attention was drawn to what the Sign Manual has to say about the mounting height of signs as well as the number of signs on a post. I then went to the London Tribunals Environment and Traffic Adjudicators ETA Register of Appeals (Statutory Register). I was drawn to case reference 2160444800 Appellant Edward Dixon, Authority: London Borough of Haringey. In Mr Dixon’s case, he argued that the sign was too low. The Tribunal allowed Mr Dixon’s appeal, quoting the Sign Manual. Potential appellants will no doubt want to research the evidence and the law for themselves as to whether or not Hackney Council have failed to comply with Sign Manual and / or any other regulatory requirements. I’ve been busy advising landlords on HMO liability over the past month. Whether a person has HMO liability will depend on the facts of their case. When it comes to applying the Housing Act 2004 to the specific facts of a case, I’ll need to see all of the documentation and take full instructions before giving advice. While I can work to tight deadlines, I don’t put my clients at risk by giving them “quick” or “off the cuff” advice. Because when it comes to defending my Housing or any of clients at the Magistrates Court, meticulous preparation is key to obtaining the best possible outcome. I’ve also been assisting a local government councillor who was in a dispute with her political party. And, in a return to my beloved Traffic law roots, I helped a man save his driving licence at the Magistrates Court. He has left a lovely testimonial which you can read here. Defendants in court now must declare their nationality. If a Defendant is a citizen of more than one country, s/he must declare all citizenships held. You may also wonder why it matters. Nationality confirmation is asked for both at first appearance (where bail is considered) AND on the day of trial. I could understand, if, for example, there’s a genuine fear that a dual British / American citizen is going to skip bail and get on the first thing smoking back to Dallas, why it’d be relevant at a Bail hearing. That is a legitimate need. But what’s the need for the Magistrates to know about the dual or any citizenship at all just before the trial starts? Legal adviser, “Please state your full name, date of birth, address and your nationality”. Defendant, “Mr Elmer Fudd, 217 Wabbit Hole, Barking, BA57 1AA, White English”. and after further to-ing and fro-ing, it’s established that the young person is a British Citizen only. And some human beings believe in stereotypes. “Oh God, not another Texan bar-fight”. How is *s/he* a German, etc. citizen only? Is anybody else wondering what the pressing need for the Court to know one’s citizenship immediately before the trial commences is? I’ve found the policy note behind the new declaration of nationality requirement. Regrettably, this note does not address why nationality confirmation is needed. You might even think that the note implies that nationality declarations in court are nothing new. All I can say about that is that before November 2017, I’d never heard of any Defendant being asked to declare their nationality for the purpose of court proceedings. If the Government can’t tell us why they need the courts to ask for nationality information, how can we help but draw the obvious conclusion that this Government’s descending into a “papers, please” mentality – with the real risk of two-tier justice. Thinking of giving two fingers to the man by direct action? 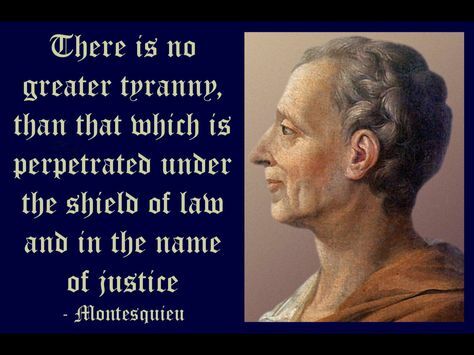 Parliament, as always, is Supreme and can make or unmake any law as it sees fit. Article 14 prohibition of discrimination. I see fellow Defence advocate, Greg Foxsmith has also blogged on this topic. While the most the Criminal defence lawyer community can do is to try to get the UK Supreme Court to issue a “Declaration of Incompatibility” (of the “papers, please” law with the European Convention on Human Rights), a stand does need to be taken. I represented a family who were all charged with Assault / Obstruct PC. After engaging in deep legal research and repeated viewing of the police officers’ body worn camera footage – as well as CCTV from the local council, I was able to effectively cross-examine the officers – taking each of their versions apart, brick by brick. By the end of the police officers’ evidence, the District Judge invited the CPS to reconsider their position (i.e., take instructions and drop this case like the rotten hot potato it was). The CPS came back and offered, “no further evidence”. The District Judge said that the officers’ evidence was, “so unreliable” that she had no alternative but to find that my clients had no case to answer. 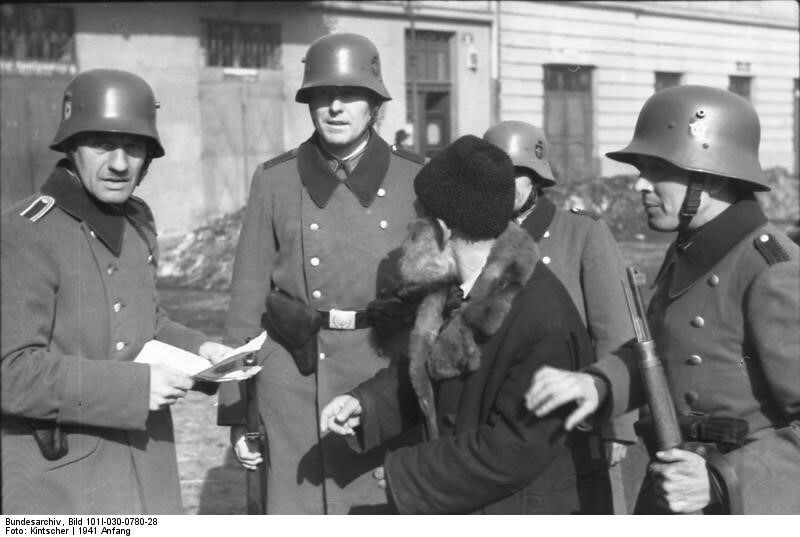 My clients all walked free – with their reputations intact. I’ve heard! You were apparently PHENOMENAL! While I can’t guarantee all my clients will get this result, I do know this: The only way to get the best result is through experience, meticulous preparation – and knowing how to press the police for Disclosure. Comments Off on In the frame for Assault Obstruct PC? Read this.